Hello everyone, how was you week going so far? Mine was so hectic like I can't breathe well but happy and feel so blessed. I hope that your week going as you planned it! So Anyway, today I wanna talk about my pairing Wine Class with Hatten Wines last week and I hope this post gonna a litte increase your knowledge about wine. Now, as I grown up (yes, I was there in blogging world before I even 17) I see the different perspection of drinking wine. It's a part of the social life, and it's a part of my world n some events. So here Hatten Wines come to rescuing my life from blindness of Wines worlds. Our welcome drink is a Pink-Rose Wine by Hatten Wines, super cute that Matching with all of my outfit I love it so much. For you that never know about Hatten Wines before, Hatten Wines is Local Balinese Wine Hub, Winery, and Vineyard. Hatten Wines had 2 Celladors in Indonsia wich is In Kemang-Jakarta, and Sanur-Bali. Hatten Wines had 43 HA Vineyard to produce one of their best product for me, Alexandria White Wines (sparkling). Yah, I just know after the class too, and I can't be more #proudbalinese. Each girls got 6 glasses of Wine to tasted and later paired with sauce and proteins. Three Sparklings (White Wine) and Two Red Wine. All I know before the class is, Red meat with Red Wine, and White Meat with White Wine. So lame ya I know, pardon me. White Wine also known as sparkling served in tall glass served cold, without any ice (ICE is a big NO-NO in Wine). It's a etiquette to never touch the body or also known as the bowl of your glasses, so you just hold the base or the stem. Because wine is so sensitive with body temperature, once you touched it with your fingers, the temperature of the wine gonna decrease. Before you drink the wine, first you smells the wine, wiggle it a lil bit on the glass and drink it. While Drink it you can direct-swallow the wine or mumble it for a while in your mouth. Tell me later which method you'd like to prefer more?! Red Wines is the wine that regulary known as the meat soulmate wine. Well. that's what I thought before I join the Wine Appreciation Class with Hatten Wines. So, Ibu Widya teached us how to classified Red Wine, while we Got a glass of wine we could looking for a group of sentences and see through the words, If we can't see it the words or the sentences means our wine is a full body wine. Then the pairing time at The Wine Appreciation Class with Hatten Wines. At the moment we asked to tasted sugar, salt, butter sauce, rempah sauce, an Pino de Bali Sauce criss-crossed and choose which one is the real soul-match? The Key is not on the meat, it's from the sauce. Because of what? The Proteins will be excatly taste the same but the seasoning? We Never know. 2. White Wine especially local White Wine like Alexandria can be paired with almost all of the sauce. 3. Don't worry about your proteins worry about your sauce. 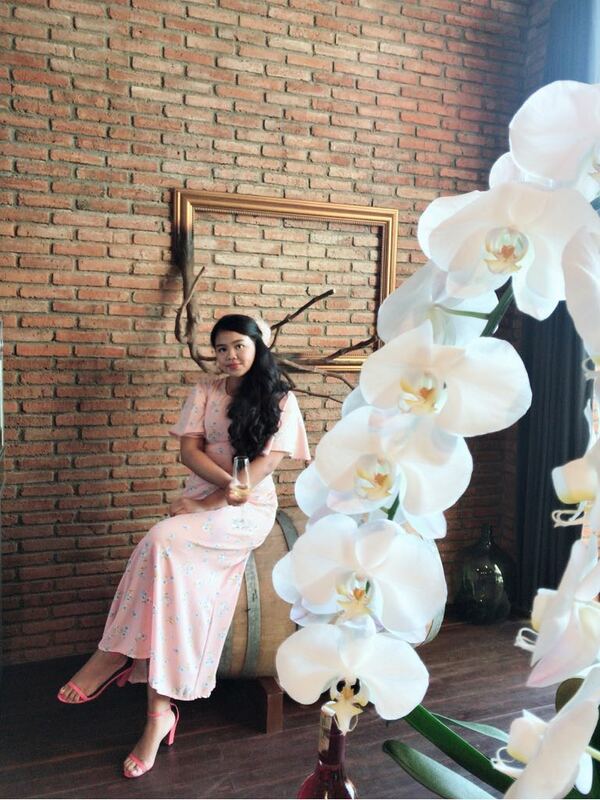 The Cellardoor of Hatten Wines Bali is such a Nice place, I won't go home. Or can I have another one like this? "Honey, What Kind of Glasses we gonna use tonight?" Premier wine hub in Bali, Hatten Wines announced a commitment of support for SoleMen Indonesia today as they continue to help the disadvantaged communities of Bali. With thousands of restaurants and hotels on the islands, the two organizations collaborated in encouraging industry stakeholders to be part of SoleMen’s charity program. Hatten Wines is committed to bringing the strong cultural Bali community together, highlighting local businesses and producers with their positive contributions to the Bali economy. SoleMen Indonesia founder Robert Epstone from Leeds, England, established the charity in 2011, having been inspired by the beauty and kindness that Bali has brought to his life. “Living in Bali is living the dream, having the opportunity to enhance and save lives and this is what motivates me personally each day,” as quoted in Human Asia. SoleMen Indonesia continues to reach underdeveloped areas in Bali to help the sick and disabled in different Bali communities outside of the cities. Those who do not have financial means to treat existing diseases and illnesses are taken under the wing of SoleMen Indonesia, with Robert and his team of wonderful volunteers. 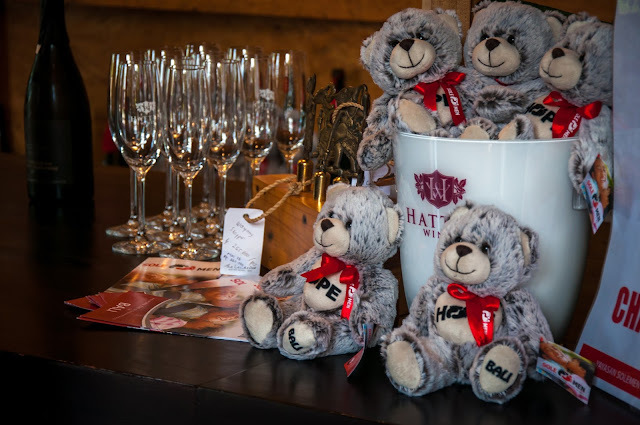 Hatten Wines and SoleMen Indonesia aim to influence a wider charitable community among business owners in Bali to join this most worthy cause. Wanna Know more about Hatten Wine? Or Wanna join the Wine Appreciation Class with Hatten Wines? Check out @HattenWine in Instagram.